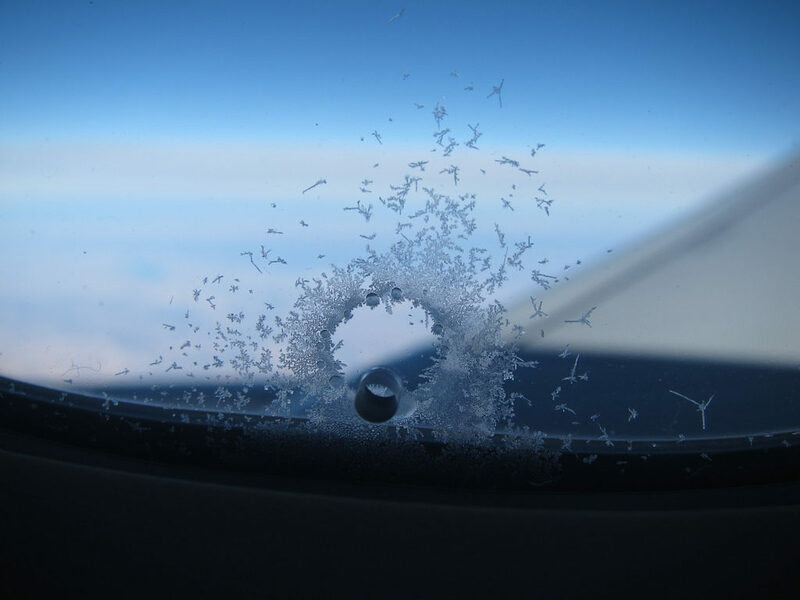 Ever Wondered Why Plane Windows Have Tiny Holes in Them? Many people have wondered: why do plane windows have a hole in them? Well, today the mystery is solved. 33,000 feet up in the skies the air in the cabin needs to be pressurised to stop people from passing out due to lack of oxygen. The triple glazed window has a hole in the middle pane to shift pressure from the inner or middle panes (which are closer to the passengers) onto the outside pane. The tiny hole relieves pressure gradually between the middle and outer pane, which then generally takes all the strain of the pressure difference between inside and outside the plane. The small hole in the window, also known as a ‘bleed hole’, also stops the window misting up due to temperature differences between the different panes. So this tiny hole both helps keep you safe, and allows you to enjoy the view!